When you create a website for your business, you want your visitors to do something. This could be signing up for your mailing list, buying your new products, scheduling a free consultation, or just learning a little bit more about what your company provides. Whatever action you want your visitors to take, you will need to establish a clear call to action, or CTA, to get them to do it. Without this CTA, generating leads becomes nearly impossible to accomplish. From CTA word, we already get the idea that it is something related to point of action on the websites or in apps. Simply put, a CTA is a clear next step for your website visitors. 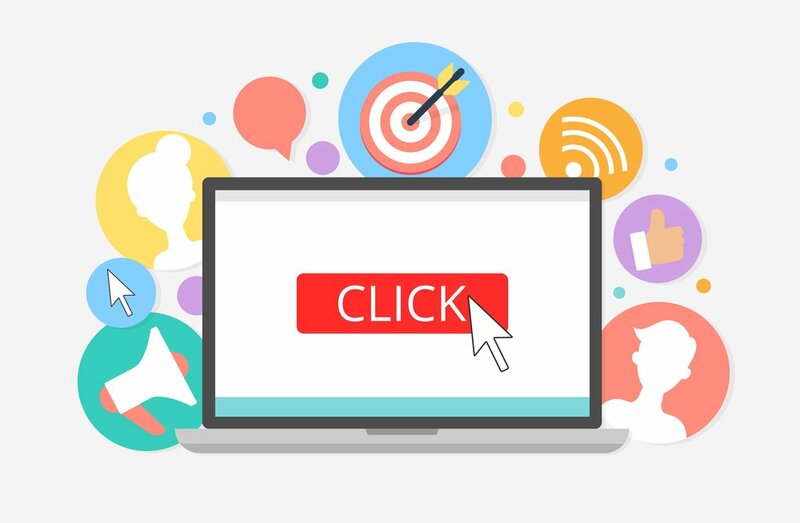 Usually, the main CTA of a website is in the form of a clickable and noticeable button. This button is usually one of the first things visitors see when they go to your website. How do you craft a strong CTA? Let’s look at some of the most important qualities your website’s CTAs need to succeed. Before you even begin to write your CTA, you need to clearly define the goals that you’re trying to achieve. After you determine your ultimate goal for your CTA, you can start thinking about how you could best achieve this goal. However, writing a compelling CTA requires brevity, strong word choice, and creative thinking. CTAs aren’t just for websites. In fact, CTAs have been around for a very long time – ever since newspapers, magazines, and community circulars have been published. Consider some examples from the recent past. Have you ever picked up a print magazine, only for a small, card-stock insert to fall out? Chances are, this insert was a call to action by the publication. Usually, these inserts urge readers to subscribe to that magazine’s print service, if they haven’t already. The inserts have large letters screaming for you to “Subscribe Now!” and “Check It Out!” For magazines geared toward younger readers especially, these inserts have bright colors, various fonts, and different sized text to guide readers’ eyes toward the main point – the purchase of a yearly subscription to that magazine. Many of these principles remain true in digital marketing. Visual hierarchy, color contrast, accessibility, and strong, actionable language are all features of compelling digital CTAs. The same is true of compelling print CTAs. Therefore, when considering CTA strategies, keep successful print marketing in mind. In writing, word choice needs to be a deliberate decision. It’s important to choose words that are strong and action-oriented when writing a CTA. These action words will push your visitors toward the actions you want them to take. Always begin your CTA with strong and actionable verbs. Avoid starting your CTA with a weak verb. For example, many websites have CTAs that begin with “Give” – “Give us a call today” or “Give us a chance with a free consultation…” While “give” works as a verb, it is not a strong verb. Additionally, “give” is usually associated with handing something over to another person (passive), not with taking meaningful action (assertive). This unintentionally weakens your CTA. Some words convey different connotations than others – even if they mean similar ideas. For example, consider the words “buy” and “invest”. Buying something merely suggests initiating a transaction, such as purchasing something at a store. However, investing in something calls to mind a more large-scale purchase that adds value to one’s life, such as that of a house, a car, or a retirement plan. The message of “investing” conveys to readers that purchasing a product or service will continue to benefit them into the future. While both words may be suitable for a sales-oriented CTA, it is important to think deeply about the message you’re trying to convey with your CTA and use strong, actionable language accordingly. Now that you’ve established your goals and chosen an appropriately strong, actionable word, you can begin writing the rest of your CTA. First, your CTA should create a sense of urgency. This will push visitors to convert to its message. Using words such as “today”, “immediately”, “now”, and others that place a deadline on your CTA will help you convey this urgency. One way to do this is to let your visitors know that they are missing something by not converting – for example, mentioning that an ebook is only available for a limited time or that buying a product now will get them a good deal. The rest of your CTA should be clear and direct. This is not the time to be coy or subtly guide your visitors toward a hidden message. You mean business and your CTA should convey this. When writing your CTA, make sure to use simple, short, clear language. In addition, make sure to continue to choose strong, actionable words. This is necessary so that your website’s visitors know what to do next. You don’t want visitors to bounce from page to page looking for your CTA. In fact, most visitors will leave your website if you don’t tell them what to do – so make sure your message is clear and direct. Creating an effective CTA requires wordsmithing, well-defined goals, and determining what is compelling about your company. However, once you’ve crafted your CTA, you’ll increase your chance of generating leads, sales, subscriptions, follows, and other forms of engagement with your business site.